Anyone looking for nitrile gloves should check out Bulk Nitrile Gloves, the leading distributor for Infi-Touch safety products. Professionals of all kinds use disposable gloves on a daily basis to protect their hands and avoid skin contact with harsh chemicals, sharp tools and other potentially dangerous materials. Gloves even protect contact with harmful bacteria and other living microorganisms that can cause extreme illness and health problems. 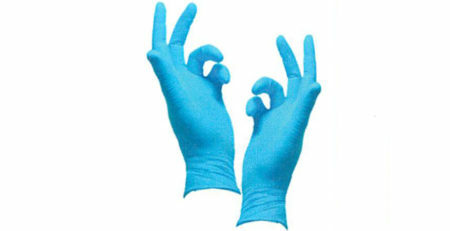 Bulk Nitrile Gloves offers some of the best nitrile gloves available for purchase in bulk. Although nitrile gloves are about 3x stronger and more puncture resistant than latex gloves, they’re still disposable. Employees must change out their gloves periodically throughout the day or after each task they complete, depending on their line of work. To keep up with the demand of disposable nitrile gloves at your facility, placing bulk orders online is the best way to stock up quick. 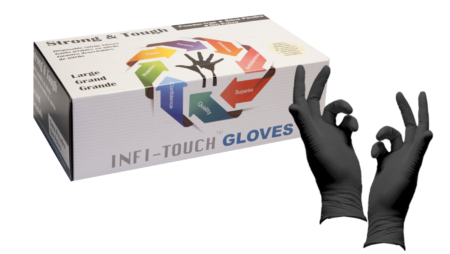 The Infi-Touch brand is continuously coming up with new and innovative ways to enhance the quality of their nitrile glove product line. These constant enhancements only make them more appealing for those heavy duty jobs. The thicker the latex glove, the more durable it is against harsh chemicals and punctures. For example, 15mil nitrile gloves are the highest thickness level offered. Gloves of this thickness level appeal to professionals with industrial jobs since they can hold their shape and protect the hand from even the most caustic materials. So, if you’re looking for the absolute best nitrile gloves available, look no longer. Go online and check out the product line at Bulk Nitrile Gloves. We are sure you’ll find exactly what you’re looking for at a price you’d never believe. When you order nitrile gloves from us in bulk, you can rest assured you’re paying a fraction of what you’d pay elsewhere.